Sakina Kamwendo is an award winning South African radio presenter. She is the popular host of SAfm’s flagship show AMlive which airs between 6am to 9am every weekday. Sakina also had stints at Metro FM where she hosted Metro Fm Talk with Sakina which was voted the Best News & Actuality Show at the MTN Radio Awards 2013 and 2014. 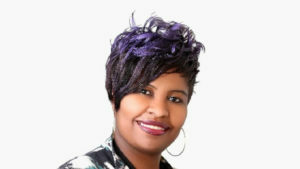 Her radio journey started at Radio Eldos, a community station in Eldorado Park. Her break through actually came when Talk Radio 702 allowed her to screen calls for the overnight show but soon progressed to producing weekend & then early breakfast shows while still holding down a full time job at the Maths Centre. When she was offered the position Traffic Reporter on the David O’Sullivan Show, she decided to quit Maths Centre to concentrate on broadcasting full time. Secondary school student at Stanwest Secondary School. Information about her age is not yet known and will be updated. Sakina has been married for almost 20 years and has four children. Details about her husband is not fully known and will be updated soon.